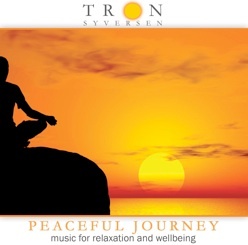 This album will take you into a peaceful journey and bring you into a state of total relaxation. 9 beautiful tracks that fits into most homes and clinics. Perfect after a stressful day and for visualizations, meditations and stressreleaf. Symphonic sound with female voice, piano, keyboards, violin, cello, guitars, english horn and flute. Some of these tracks, like Rivers and My Love, were made poems and improvised as the poems were read. Rivers describes a river from it’s start, ending up in a big fall before it reaches the sea. The Beginnig was the first composition where I used wordless vocal as a melody-“instrument”. This worked out so well, that I started using vocals on all tracks and as a kind of trademark. For many albums to come I used a low female alto, Elin Lokken, who also was my co-producer for many years. The melodies were so deep that to be able to play the melody-lines on violin, we had to find a violinplayer who had a violin with 5 strings!